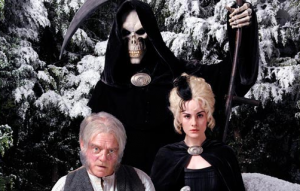 A couple of years ago, I gave you readers my Top 5 Versions of A Christmas Carol. 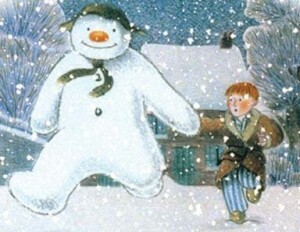 This year, I’m doing a list of the top 20 other stories made and remade into Christmas movies for you to watch in the days leading up to Christmas. 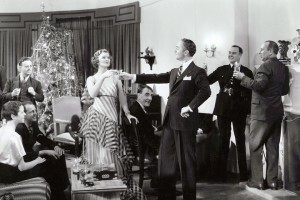 You wouldn’t normally think of a murder mystery as being a holiday movie even if it does take place on Christmas, but hey plenty of lists go with Die Hard in this slot so why not the classic that began the fabulous Thin Man film series. 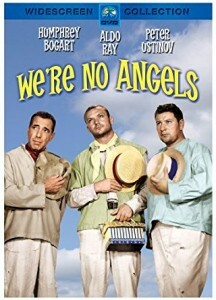 A surprisingly sweet little story about three convicts who escape from prison and hide out during Christmas with a family as hired handymen, only to help the family so much that they all become pretty nice guys by the end. 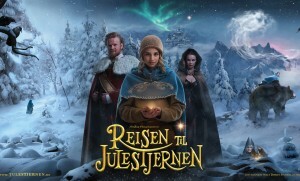 Kind of similar to Escape by Night, which is not Christmas themed but is a similarly cute film. A nice little story about three sweet old guys who meet a young couple on Christmas and continue to help them as ghosts after they die. This is a very classic fairytale, but I’d never heard of it before seeing this film. This is a foreign film, and either comes with subtitles or is dubbed in English. But it’s very enjoyable either way. It’s been streamable on Netflix the last 2 years around the holidays, but failing that you can always look for a DVD. I hear Disney is planning on making an English language version at some point, but it would be hard to top this version. This film tells the story of Death temporarily acting as Santa Claus to save Christmas, and in the end to basically save the world in a way. I know, it looks more like a Halloween movie or a blend like Nightmare Before Christmas, right? But it’s actually not. It uses a fake Xmas-like holiday called Hogswatch as an analogy, but it’s very much a Christmas movie with a lot of warm fuzzy moments. Okay, personally I don’t feel it. 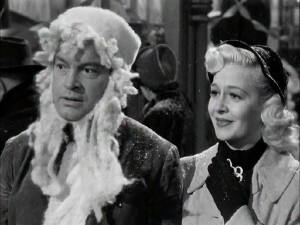 But for Baby Boomers this is THE Christmas movie, and often feel that the writer somehow followed them around taking notes on their own personal childhood (viz., the scene pictured above where the protagonist is forced to try on a humiliating gift from his aunt). I think of it more as an interesting historical piece, but that’s because it’s inspired by the childhood of people from 2 generations before mine. 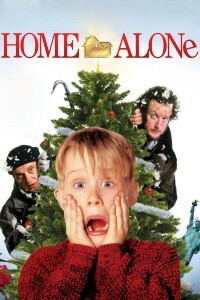 This film definitely has a couple moments that are real head-shakers, but it also has some wonderfully sentimental Christmas spirit moments, and is still a favorite among kids for its silliness and its portrayal of a kid having total control of life (if briefly) and out-smarting bad guys. It’s absolutely one of the classics for Gen Y kids. 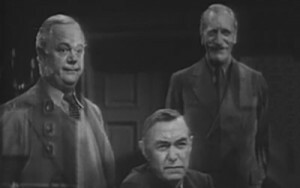 This is a peculiar movie about con men in a gritty city, but it’s also one of Bob Hope’s better films, and was the genesis of the song Silver Bells. Primarily a movie about systemic racism and classism, the story takes place over a backdrop of the holiday season. It also has one of the funniest scenes in all of moviedom, involving drunk Dan Aykroyd wearing a grungy Santa suit and trying to eat a poached salmon through his false beard on a public bus. Not sure how today’s audiences would react to Jim Varney’s Ernest character, but to us Gen Y kids (or maybe just to me and my brother) we felt like we’d just about die laughing from watching his films. 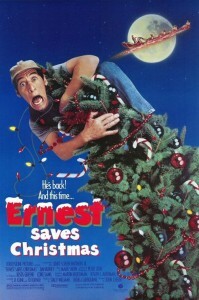 In this movie, Ernest helps Santa teach some people the true meaning of Christmas, and helps find a new Santa. This is a really obscure one, and the animation is super cheesy, but it’s a classic nonetheless. I’ve only ever seen it on what used to be the Family Channel, but as you can see it’s now available on DVD. 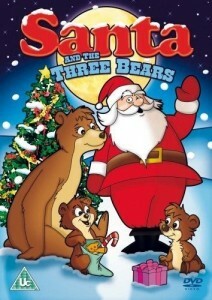 The movie tells the story of two bear cubs who learn about Christmas from their friend the park ranger, and are so eager to see Santa that they wake up their hibernating mama bear to celebrate. Okay, I’ll have to admit you need to be a child of the 80s to appreciate this one since it’s so bizarre (as you can tell from the cover image) and contains so many human anachronisms (where else are you going to see Charo, K.D Lang, Frankie & Annette, and Magic Johnson all in one place? 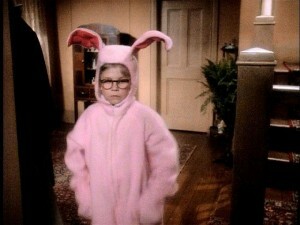 ), but this has definitely become a nostalgic part of how I think of the holidays. 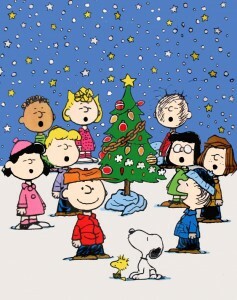 I actually find most of this movie pretty depressing and pessimistic, like the rest of the Peanuts oeuvre, but it has a couple of good contemplative moments and they play it on TV every flipping year so it doesn’t feel like Christmas without seeing it. 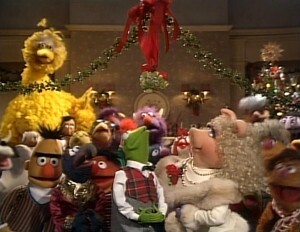 Best Muppet Christmas special EVER! Not just some of the Muppets, this one has ALL of the Muppets, from Sesame Street to Fraggle Rock and everyone in-between. It even has Jim Henson himself in there for a cameo at the end. There’s also some great music from every era, and a cute story. 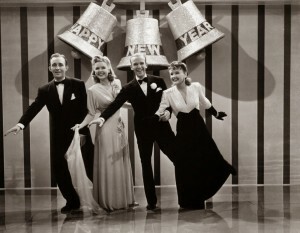 This movie, seen as the spiritual sequel to Holiday Inn, makes a big use of color and showmanship (as you can discern from the big costume number pictured above). It also features Danny Kaye in an unusually un-weird role, likely because the part was originally intended for Fred Astaire, and then tweaked for Bob Hope, and then finally given to Kaye. Any of those guys would have been fine, but I like the way it worked out too. Now this one would have been interesting to have seen in color. There was one song and dance number for each major holiday, all with elaborate costumes. 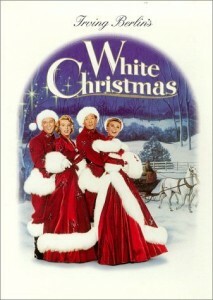 As much as I’m a tad put off by seeing Astaire as somewhat of a bad guy (and by one costume number that’s, shall we say, incredibly racist) this film still stands out as one of the top Christmas (or holiday in general) movies of all time. I actually only discovered this movie a couple of years ago. It’s so poetic and beautiful that it instantly became part of my yearly fare. It almost looks like the whole thing was watercolor paintings come to life. The version I’m familiar with has a foreword by David Bowie, which in itself is kind of a surprise. 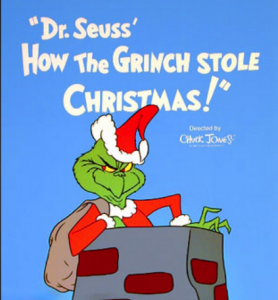 The original, and still the best, this version had the Grinch voiced by the legendary Boris Karloff and included some memorable music. If you still haven’t seen it, there’s a gaping hole in your life. This was my favorite holiday movie as a kid because I saw it as a story about the importance of never losing your inner kid, and how kindness can change people and organizations for the better. Now, granted, the film is probably meant to be more about faith, optimism, and commercialism, but I don’t care and I still like it. 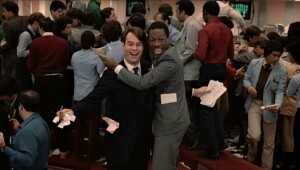 This is the best version of the film (as long as you avoid the strangely colorized release). Other versions rewrite the ending and other parts in ways that aren’t as funny – or as logical for that matter. 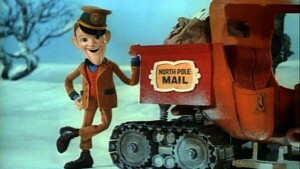 This Santa Claus origin story was a stop-motion animated TV movie, but you wouldn’t know it from the fine storytelling, silly comedy, great voice acting, catchy music, and quite excellent production value. 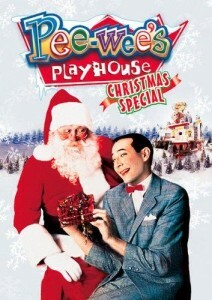 This movie tells the story of how baby Claus was found by a family of elves and grows up to rebel against the anti-fun burgermeister by distributing toys to children. There have been a few attempts at books and movies telling a story about how Santa came to be, but this is the only one worth seeing. 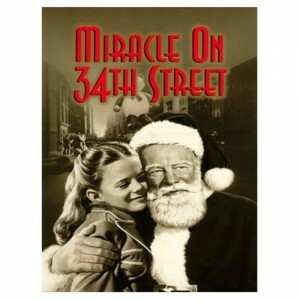 It’s also the best non-Dickensian Christmas movie out there. By the way, if you’re looking for just a giant list of Xmas movies, great and terrible alike, this is a good place to start. This entry was posted in List, Review and tagged Christmas, Comedy, film, Holiday, movie review, Movies, television, TV. Bookmark the permalink.